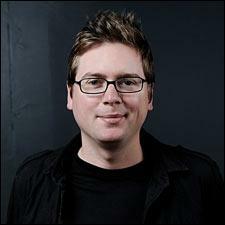 Biz Stone, of Twitter, will donate proceeds from the Fledgling wine label to Room to Read, a literacy-focused non-profit. Biz Stone, 36, is the cofounder of Twitter, the social networking site turned cultural phenomenon that allows people to broadcast their thoughts on the web in pintsize slices of 140 characters or less. Stone created the microblogging site with partner Evan Williams after stints at Odeo (a podcasting site), Xanga (a platform for bloggers), and Google. Twitter’s swift rise from geeky obscurity to household name has earned Stone such accolades as GQ’s "Nerd of the Year" and Inc. magazine’s “Entrepreneur of the Decade,” as well as inclusion on Time’s list of the most influential people of 2009. Last year, Stone and Williams announced an unusual side project for Twitter: winemaking. Using a custom-crush facility, Twitter is making a California Chardonnay and a Pinot Noir under the Fledgling wine label and donating the proceeds from the sales to Room to Read, a non-profit organization that supports literacy programs around the world. Of course, interested parties can follow the progress of the entire project, from pictures of Twitter employees harvesting the grapes to videos about malolactic fermentation, on the wine’s own Twitter page (it currently has more than 300,000 followers). Stone recently spoke with Wine Spectator about how Twitter ended up in the wine market, what’s in his personal wine fridge and why Twitter is like winemaking. Wine Spectator: How did the idea for Fledgling come about? Biz Stone: We really admire [Room to Read] and we thought it was a great fit. People need to learn how to read so they can Tweet. And, in our organization, there are people that are wine enthusiasts. We had heard through one of our advisors about a local company called Crushpad that allowed you to make your own wine. Everything came together one day as we were talking. We would make wine and it would be fun because it was something that everyone could participate in together and all the proceeds would go to Room to Read. WS: How involved were you in the making of it? BS: I’m mostly involved from the standpoint of putting together the right people, coming up with the name, the idea and the branding. I unfortunately haven’t been able to make it to the fun part—the harvest and where we actually got to do the crushing [of the grapes]. I will definitely make it a point to be at the tasting. WS: Are you into wine? BS: Since I moved to Northern California, I have to be because wine sort of runs from the taps here. My wife and I are members of a sparkling wine club at Gloria Ferrer vineyards. We get involved, not just in tasting wine but going to the Catalan festival they have every year. There’s so much more to it than the wine itself. It’s been meaningful for me because one of the things that we’re constantly striving for at Twitter is this sense of craftsmanship—that you own what you’re working on and you’re proud of it. That’s something that really comes through in winemaking. WS: Do you have a wine collection? BS: We do have a wine fridge now, which has been a step up. Ev, my cofounder, has a pretty good start on a collection. When he got married he asked everyone as a gift to only bring a bottle of their favorite wine. We brought him wine from Duckhorn Vineyards. It’s a place we stopped at when we got married and we really loved the wine there. WS: What else is in your wine fridge? BS: Even though I didn’t initially like it, I’ve really started liking Chardonnay. There’s one that they sell at Trader Joe's, La Crema. I really like that one. … I’m more familiar with California wines. We try to buy local wines whenever possible. WS: How does being a vegan affect the wines you choose or food you pair with it? BS: You can find wines that are not filtered through isinglass [or egg whites]. One of our board members recently had us over for dinner and selected wines that were all vegan. That was thoughtful … We’ve been to Spain a bunch of times. We have a lot of fun getting tapas in a veggie format. This past New Year’s Eve, we decided to stay home because I’d done so much traveling. We made a bunch of tapas and drank cava. WS: Are there other regions that you’ve been to? BS: We were surprised by the Finger Lakes region of New York. We went up there to visit Farm Sanctuary, where farm animals that are hurt and would otherwise be killed get to go live out their lives. And it turns out that they have all this great white wine. WS: Would you ever own your own vineyard? BS: I think it would be amazing. I don’t think I’d want to do the work, but [vineyards are] so beautiful. I always find it amazing that you can go to a vineyard and for $5 or $10 you can just sit at a beautiful table out under a tree and try all their wine. It doesn’t seem fair—It seems like it should cost more than that. But it’s such a great thing to do. Twenty minutes from my house and we’re sitting under a big tree in Napa, drinking wine. WS: Do you have plans to do other wine charity projects? BS: If it works out, then definitely. This is the new ambition: Finding a way to do good while having fun and making a profit. It helps us. It builds our brand. It builds culture. But it’s also meaningful in the world. I am very impressed with your venture and all the thought that you have put into it. It will be a great success I'm sure.